An incredibly successful collaboration with philanthropic kids craft kit subscription service Little Loving Hands in February 2017 has brought hundreds of adorable sock monkeys hand decorated with love through OSM HQ and around the world over the past year. 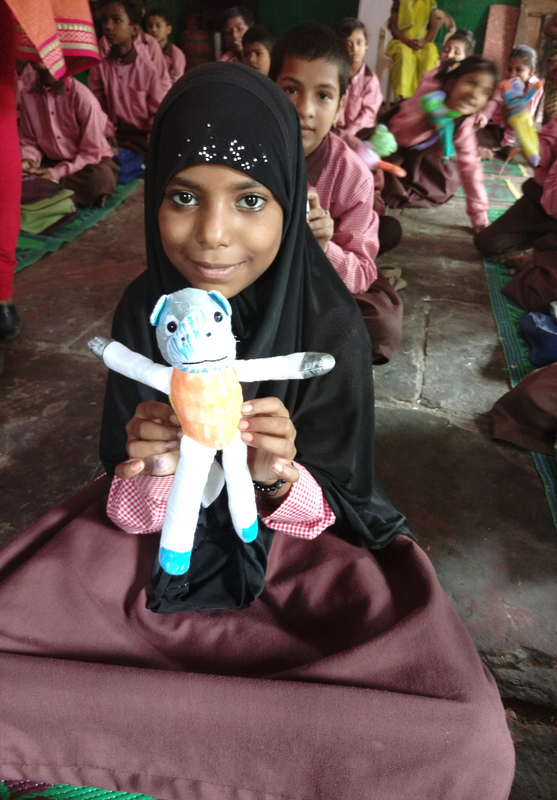 A delegation of Little Loving Hands monkeys were recently distributed in Agra, India to students and beneficiaries of Indian Dreams Foundation, along with a monetary donation from OSM to help support IDF’s Smile Days initiative which educates girls and women. 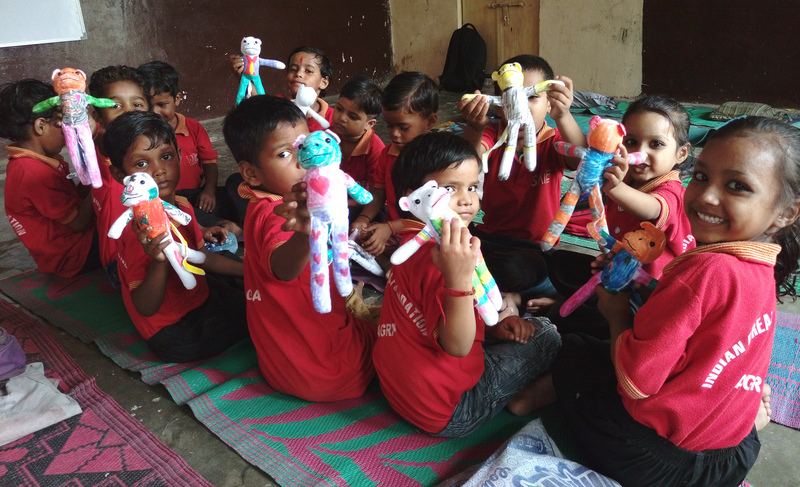 The children were delighted to receive the colorful and wonderfully creative sock monkeys made by Little Loving Hands, and they had fun naming them and playing with them as pets. 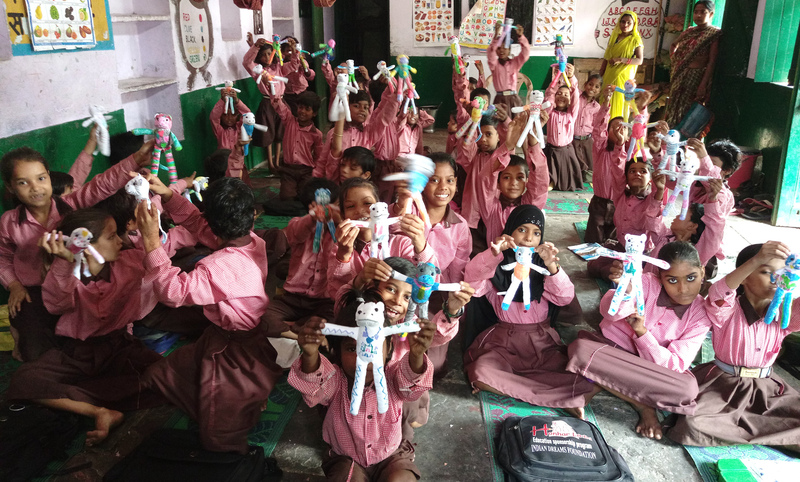 Some of the sock monkeys were distributed in school bags and backpacks along with school supplies as part of IDF’s commitment to educational enrichment in the lives of children and youth in Agra. 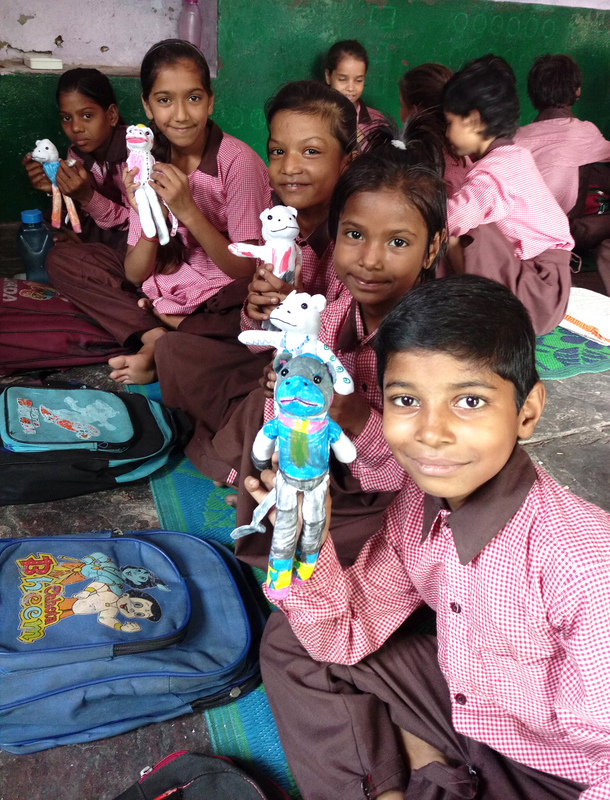 Big thanks to Jyoti Singh at IDF for coordinating the distribution, and to all the hundreds of contributors who subscribe to Little Loving Hands, and created a sock monkey to send smiles across the miles.